This is a reflection of Tokyo Station that appears on only rainy days. Looking into the pools, there's the fantastic scenery like another country. 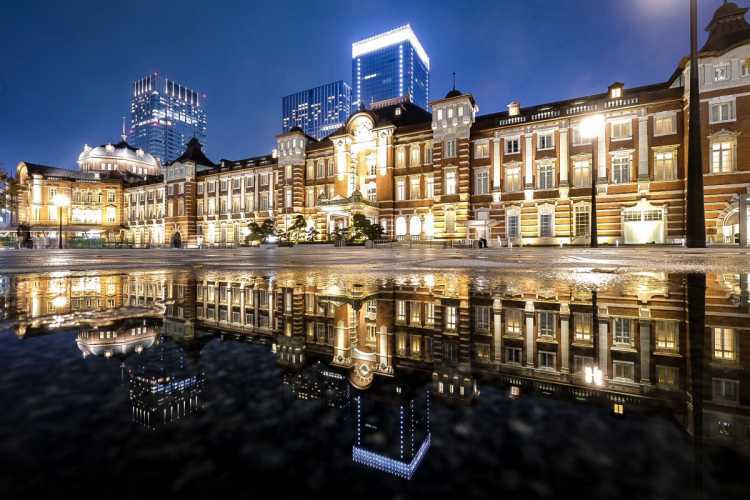 People who have cameras, please visit Tokyo Station to take pictures of the reflections.◎You can take pictures like this at night after the rain. The pictures change as the location and size of the pool, so it depends on your fortunes. But even the small pools can reflect the beautiful scenery.